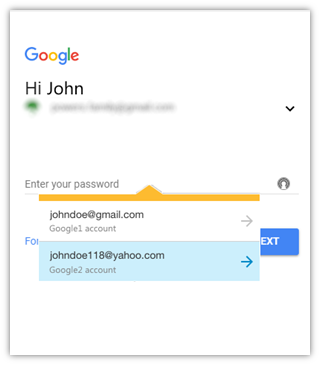 Since the debacle of the last 3 years whilst Norton revamped the Identity safe we've had to endure never ending promises over the loss of functionality and we're still not back to where we used to be; name and password completion is a hit and miss affair, and form filling hasn't worked since. What is the status of form filling ability is it still on the to do list or is it just me that's having problems? and why are there so many URLs which don't auto fill and that we have to report, this was not what we used to enjoy and there's been more than sufficient time to resolve these issues especially since the new Identity Safe has been rebuilt from scratch, it's almost like were testing a beta version for you! Here is the official explanation. I'm not sure how much credence I place in it, since a password manager should only fill in already-approved information on correct websites only - so there should never be a problem with something being automatically entered on a site where it should not be. On the other hand, if you have, say, your own credentials and someone else's credentials (like your wife's) both stored for different accounts on the same website, having to click the log-in you want to use might prevent accidentally signing into the wrong account. By asking you to click to fill in each web form, Identity Safe keeps you in control of when and what information you give to your websites. Thanks for the response and the links however none of them answer the question raised. Since the take down some three years ago I've never and still haven't had a single form completed using the data stored for that purpose in the vault. We've listened to the excuses for all this time and still the Identity Safe as a product is a pale imitation of what it was, why? It was built from scratch it should be at least capable of doing what the old version did if not improving on it. The Identity Safe has had to change over the years to conform with the browser. It has had to migrate to a online vault now instead of a local vault. The changes are not always for the better, but the browsers seems to think they are better. The current trend I have heard might be to get away from using passwords. I'm not saying that is what Norton is saying. If you have an identity safe from years ago, then I would say that the form of it has changed. It may not be possible to use the old form without making the changes to migrate to the current form.. You might have to paste the old usernames and passwords into the current form since there have been many changes since then and not always for the better.